Balmain is one of the most recognisable fashion houses amongst young fans and digital audiences. But what happens when it’s iconic logo is transformed into something that the fashion world is not familiar with? Balmain unveiled a shiny new logo this week. Olivier Rousteing, Balmain’s creative director, his creative decision to change the logo in an open letter to the press. 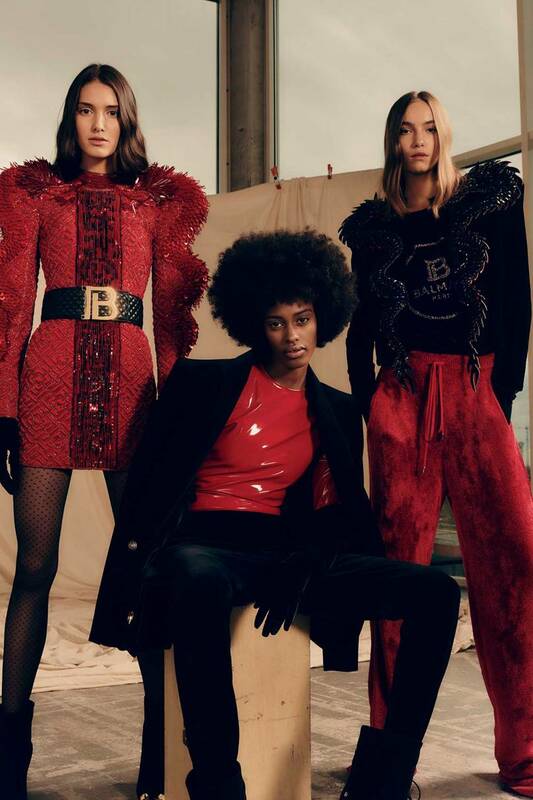 “I’m not about to tear down traditions or break rules simply for the sake of breaking them”, he begins, “but times do change, Balmain is now a fast-growing brand relying on new media to communicate to a global audience. To best meet the challenges and opportunities of today we unveil a newly updated logo for Balmain Paris”. Rousteing, told the WWD’s Retail & Apparel Summit that he is “looking to bring back the Parisian DNA”. He has confirmed that Balmain is returning to the couture calendar for the first time in 16 years and that he has plans to expand the brand to encompass, fragrances, accessories, and further endeavours. The new design is fondly called the “B”, by Rousteing and his team. It evokes some of Pierre Balmain’s mid-century designs. Intricately, a ‘P’ is subtly visible between the calligraphy, which at first glance looks solely like the letter ‘B’. This fitting detail in Balmain’s new striking typeface pays homage to the brands home, Paris, and also to the brand’s father, Pierre. Rousteing comments on the new logo, that was crafted in partnership with the Parisian creative studio, Adulte Adulte, “I am quite pleased with what we have created”, coining the new logo, “clean, contemporary and bold”. Rousteing acknowledges the need to retain the heritage of the historic fashion house in its new face. He is keen to make it clear to all that this logo represents, “a French luxury brand for the modern era”. The logo will debut on a new bag, dubbed the “B bag”, and then on graphic T-shirts and bold buckles featured in the pre-fall 2019 collection.